What do you think is the biggest issue facing female coaches in college sports at the moment? So if we had more female coaches at high school level, do you believe this would change? I do think that a lack of women coaches is part of the issue. This causes a couple of problems – one being as mentioned, the silence, but the other is that transition between a male and female coach if they do work with a female coach at College. When you have high school or younger female athletes that have only ever been coached by Dad or any other male coach, they see that the man‘s level of aggression, energyor directives as a coach is acceptable. And then when you give them a female coach who talks about empowerment, things on the field and off the field, or has a more direct tone,you get push back (depending on their previous relationship with their coach). What is it that sparked the need to launch your project the “Fearless Coach“ and why do you advocate so loudly for women coaches? Have you also experienced discrimination first hand? It stems from high school and college for me. How can we change the culture in a department if the female coaches are being treated badly. Is it just a case of firing the abusive colleagues? The toxic culture in an athletic department is not just one person. It’s the allowances that we make to the person who brings the archaic mindsetand behaviors to the department. If a toxic Athletic Director leaves, the culture is still in place even though people think they have got rid of the problem, they haven’t. You could get rid of Josh Berlo at UMD or Gary Bartaat Iowaand you could get rid of all these the leaders at Michigan state- but there are people waiting in line wanting to continue to lead the way they did and that culture continues. That is what people don’t understandwhen they think a single firing fixes the issue. Do you think one of the ways of eradicating that negative culture as a whole is by making the department more diverse with female coaches etc? Or is it a case of having to wait until the ‘old boys’ die out? Let me compare that scenario of waiting for the ‘old boys’ to die out to a dynamic of a team culture; you have a team, and lets say you have a particular class (i.e. your juniors, seniors, freshman etc) that may have a fewwho have contrary ideas to the way they want the team to be led. I learned much about this from Mollly Grisham, who is the founder of a Person of Influence. So let’s say you get pockets of push-backon your leadership, a few problem athletes not interested in following team rules, or just an absence of positive service to the team- and rather than wading through that quagmire of drama and trying to handle it you just say “I’ll just wait to graduate that class and things will be fineafter that” – that’s just like saying “we’ll just wait for these dinosaursin athleticsto die out and things will be fine in the department”. The problem is that those juniors or sophomores will eventually become the seniorsand juniors, and they have learned from the older students how to behave. So even though those graduated students aren’t around anymore, the lessons of how to create cultural unresthave been passed down to the juniors and the behaviour continues. So that idea of just letting the toxic culture just age out, if you don’t deal with it in the moment, I don’t think it will ever change. You just end up in a never ending cycle because others then hold on to those bad values. You never know what people listen to and hold on to and what stays and what goes in terms of what they are absorbing from the leadership. The point about making the departments more diverse is also a complex one. Part of the problem in the US right nowis the disconnect of ourfemale administrators. Some of them are a group who have created a divide, because at the upper levels female administrators are trying to preserve their own longevity in athleticsinside the good ol’ boys club.It’s not an easy balance. They feel like if they don’t go along with the culture of the department, they will never progress, or keeps their roles. Climbingthe ladderin athletics doesn’t arrive by taking one for the team in supporting your female coaches, it arrives with submission, silence and helping departments keep their reputation in tact at all costs. Supportingfemale coaches is far less of a resume booster than hitching your wagon male leaders in positions of strength. A lot of the coaches I talk to have more issues dealing with their supervisor who happens to be female, because that female is having to hang on to their position and maintain their seat. Being compliant in the NCAA is one of the biggest ways to climb the ladder. Yes, we can point fingers at the male athletics directors who are not hiring women, but you can also point fingers at the women who are not supporting those women who are in the industry. Do you the think one of the ways that women can deal with all of these issues is by connecting with other women and supporting each other through this? 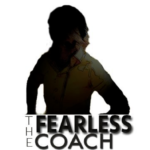 That was originally the premise for me launching Fearless Coaching; I get 2-3 emails or calls a week from women telling me they were struggling with their Athletic Department and have no one to talk to about it. I became a library of sharedsecrets on how women are treated in Athletic Departments across all Divisions – and that for me was only part of the point. However, how does all this change if I am the only one with all the information? It doesn’t. It is comforting to those people who are able to talk to me, maybe they feel 1% braver after our discussion, I don’t know because I don’t have the measurable to work out what the impact is in women connecting together, but it’s that next step that is the biggest hurdle…what to do with all these testimonies where the majority beg for them to stay confidential? It helps that women know there are people out there just like them who are struggling, because I tell them that I get calls from other women just like them all the time and I suggest they connect with others I know…but after that, what is the action? This is the answer we are all searching for. I had a woman call me from a big Division 1 school. 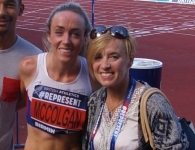 The case she explained is flat out discrimination, there were so many things wrong…but the coach in question was far more interested in being able to stay in the sport and keep her job. It helps to vent and talk about things, but what is the action item, how do you change that situation for her or help her beyond suggesting legal counsel? I also have people that call who want to take action, but they cant afford a lawyer, but don’t have the resources to go through with litigation. And we have women that have taken action, such as Shannon Miller, Beth Burns, Tracey Greisbaum- but what happens to these women…they get slaughtered in the mediaand dragged through court. The options are far from encouraging. Beth Burns is one of the most successful women’s basketball coaches, and she won her case (for being a whistle blower about Title IX violations) and was right about being discriminated against…and now she is an Assistant Strength and Conditioning Coachmaking far less than what she is worth. Shannon Miller is back in Canada and despite winning her case on a federal level, schools aren’t lining up to let her back in to the NCAA. However, men who have been found guilty of physically, verbally and emotionally abusing their athletes just recycle back through their contacts. Women don’t get back in after they have blown the whistle. There are countless women that just aren’t in sports anymore, but not even the women who are fullyout of sport are comfortable talking about what happened. The question is how do we activate that group of women from being upset about their treatment, recognising that this issue exists and where do you take the information? Do you take it to the NCAA? Even if you do, will they listen? The Tucker Centerdoes a report every year and gives grades on equity of hiring of female coaches for all institutions (Universities). There are countless institutions that get D’s and F’s as marks every year, but they don’t care. They don’t change. The NCAA and public opinion is keen on the idea that cases like Shannon Miller are one off’s, just typical disputes between employer and disgruntled employee and they don’t feel its compelling enough data for them to want to change their behaviour. The NCAA loves to take credit for all the good things and all the successes, but at the eleventh hour when there is an issue with discrimination or Title IX, they are no where to be found. All of a sudden they don’t want ownership of their institutions when its bad news. That’s no different to the NGB’s taking the credit for producing Olympic medals, but when it comes to abuse scandals like in US Gymnastics or swimming, they separate themselves. The WeCoach organization (formerly the Alliance of Women Coaches) receives funding from the NCAAwhich isliterally sponsoring the group who has members begging college athletics to pay attention totheabysmalnumber of female coaches in the NCAA. Our number has beencut in half since 1972 and it’s not getting better. So what role does the NCAA play in thatand who holds them accountable if the groups put in place for coaches and administrators aren’t providing that advocacy? What advice would you give to a female coach just started in the NCAA and what advice would you give to a female coach already in the NCAA and starting to experience discrimination? I would say to the newer coaches; ask questions and find out more about the previous experience of who was in the position before themprior to taking a job. Understand that if you are 24 years old and you just replaced a coach who has been there 30 years that you need to start asking questions about how that program is resourced, how much it is supported, what the expectations are and what the long term plan looks like for you as a coach. The reason for this is – women are exiting the profession quietly and being replaced with submissive coaches who are younger and have enough accurate informationtakearm themselves inthe system. Now I feel this is happening a lot; rather than going out there and finding the best coach for the job, the institutions are looking for younger female coaches with less experience and just doing everything the administrations asks them to do without asking any questions. Becareful – sometimes the situation that looks like your big shot, is likely the fight of the previous coach that didn’t get what her team deserved. 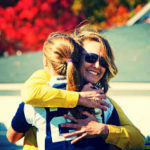 For a coach already in a role experiencing discrimination – connect with other coaches, ask questions, educate yourself on what your rights areand really do your homework on Title IX. Open your eyes. Take some of the power back, and be brave in small spaces. That’s not easy to do. Question the system in a thoughtful wayand remember if you fear being looked at as aggressive or too direct in your profession in order to be successful that men get exactly what they want precisely by acting this way. I don’t foresee there will be some major revolution such as #MeToo of the sports world soon, because that would take a collection of women working together and there is just too much divisiveness in sports. I would love to be wrong about that. A lot of the bigger names who do have political pull don’t talk enough. Once in a while you hear someone bang the drum for equality because it’s a safe space and pay grade for them, but that’s about it. Collective effort is the only cure for helping the silent coaches speak and the fearful coaches become braver.